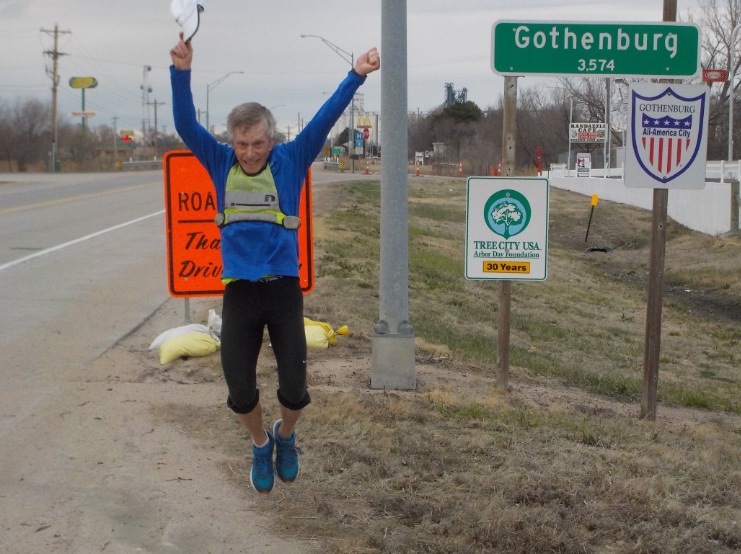 It's Björn Suneson's seventh time running across the country; he stops in Nebraska every time for a special reason. It’s not something you see every day; a man running on the side of the highway pushing a stroller full of luggage. But for Björn Suneson, it’s just another run. So for the seventh time he’s taken to America’s highways, running from the West Coast to the East Coast. Channel 8 Eyewitness News met Suneson at the McDonald’s in Waverly, where he stopped for lunch before continuing down Highway 6. He’s about halfway done, and will end in New York at the end of May. He runs about 33 miles each day, that adds up to more than 200 miles a week. "I go from motel to motel and I always look forward because it&apos;s not always fun to run it can be really tough but I always look forward to come to a motel to take a rest,” Suneson said. He goes through hundreds of little towns; but there’s one in Nebraska he calls home, even though he’s from thousands of miles away. "It just so happened that I came to a town called Gothenburg in Nebraska and that was nice because I&apos;m born in Gothenburg in Sweden,” he said. “I&apos;ve been back on all my runs and know people there– I get a feeling of home." His series of 95-day journeys began in 2007, the inspiration came from another Swedish runner who did the same. Though it’s the people in the U.S. that he said keep him coming back. "They are very encouraging,” he said. “And maybe we aren&apos;t so encouraging in Europe, maybe we’re a little more blasé, because even when people aren&apos;t interested in running or sport– it&apos;s a little bit of the American dream, they like people who do something to 100 percent." So every day puts in 100 percent effort, running from tiny town to tiny town. Highway after highway. Suneson isn’t doing it for charity, or for a contest, just for himself. "You&apos;re never too old to run. I&apos;m 71 and I feel almost as strong as when I did my first long runs at 59 so it&apos;s never too late,” He said. It’s in Swedish, but if you click the British flag on the top left corner it will translate to English.